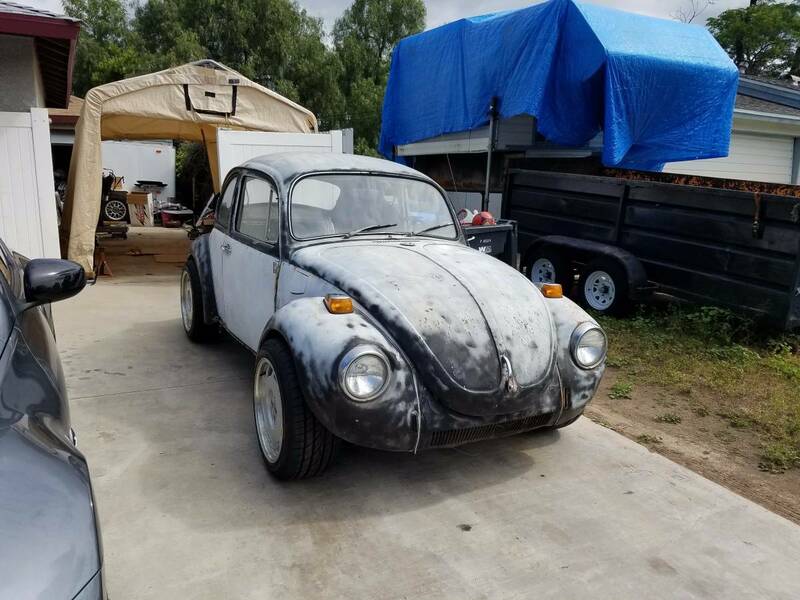 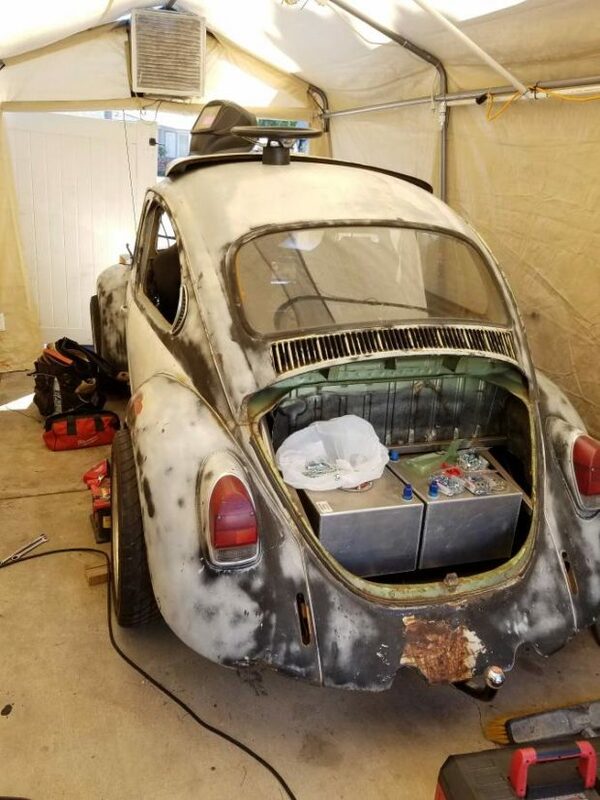 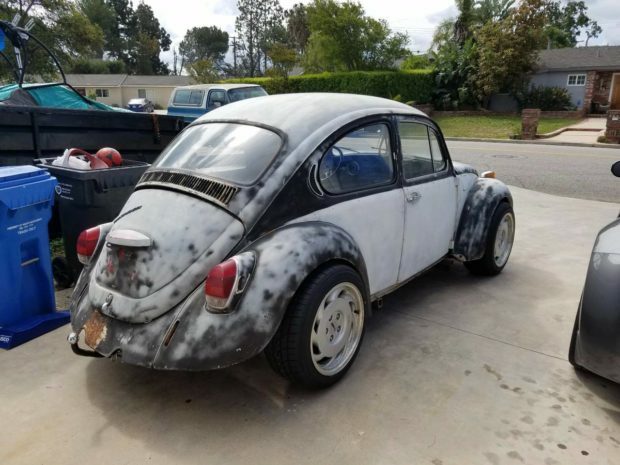 This unique 1971 Volkswagen Super Beetle is for sale in Thousand Oaks, California with no price listed. 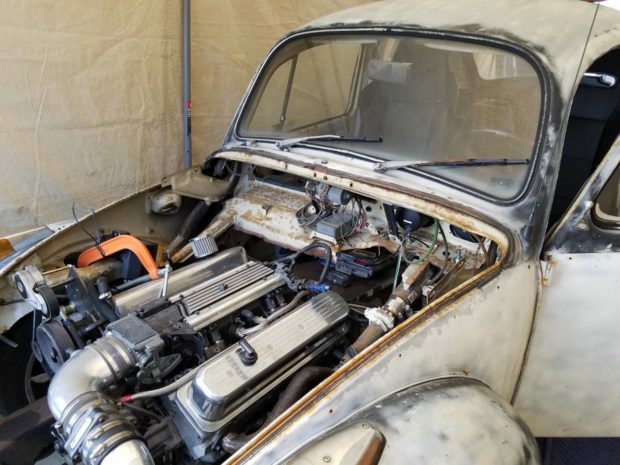 The Beetle sits on a Chevy S-10 chassis with power disc brakes on all four corners. 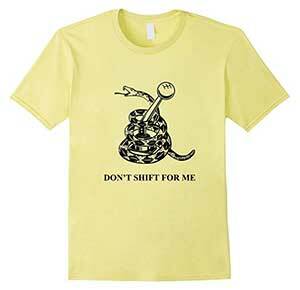 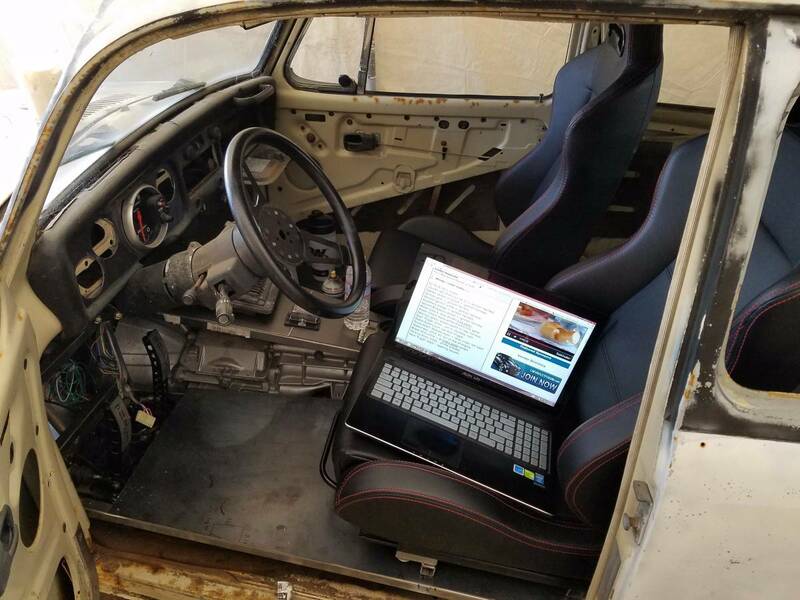 Power comes from a 5.7 V8 from a 1995 Corvette connected to a T5 five-speed manual transmission and Subaru STI rear end. 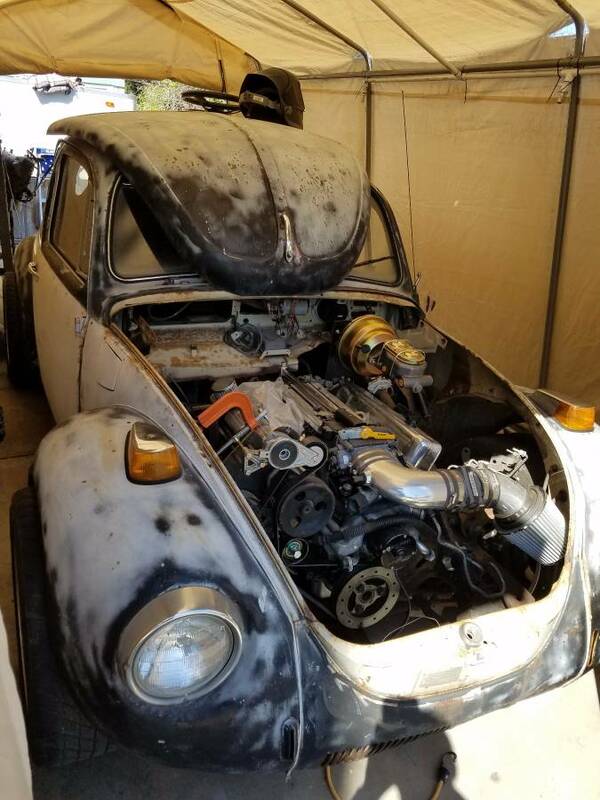 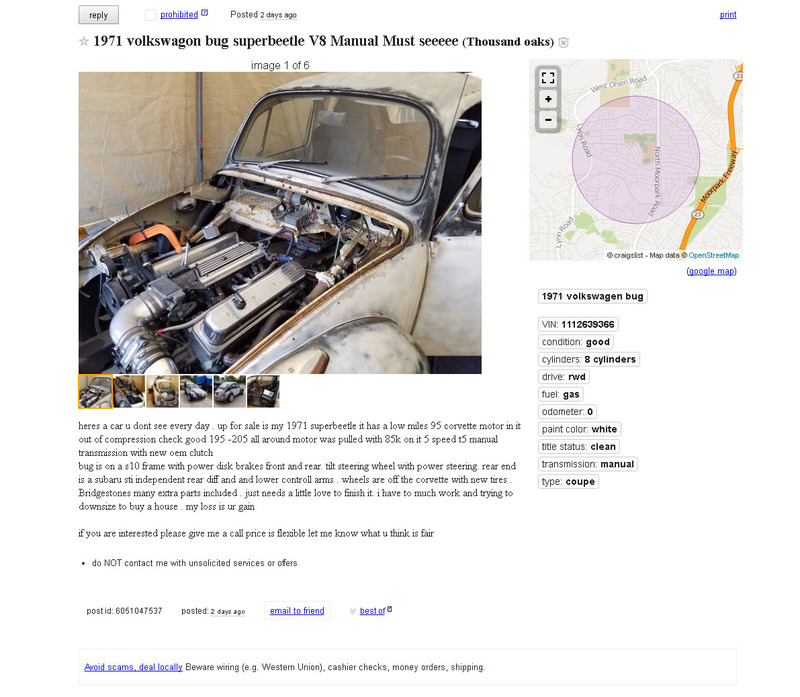 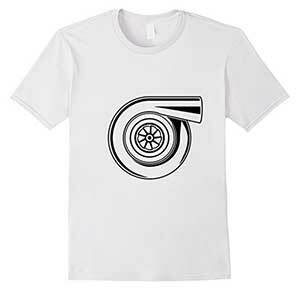 Where can I buy a frame built for a vw beetle body with a v8 motor?